Moving out of Tick-Tock… what the hell else are we going to need? Preparing for the move back to Taos, I came across some memorabilia stored in my basement. 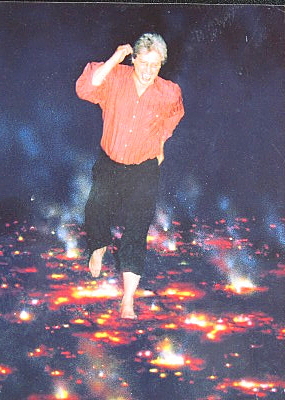 I thought I’d share something with those of you who have followed me on-line over the years and having had a connection to Stuart Wilde. The letter below is from the inside cover from one of the White Dove International mail order catalogs. The date of catalog would have been 1993-1994, after Lin and I took ownership of the company. “Secrets of Life book by Stuart Wilde was first published in 1991 by White Dove International, Taos, New Mexico. About the same time, Stuart gave Leon Nacson, in Sydney, Australia, publishing rights for printing in Australia. How the book came to be produced is a story for another time. In 1990, Stuart still owned White Dove. A few years later, he and his wife, at the time, Robyne, moved to Sydney, Australia with their son Sabastian. Stuart sold White Dove to Lin and me. We had been involved with the sales of Stuart Wilde books and tapes since 1983 with our own book distribution company, Crystal Cave Enterprises. 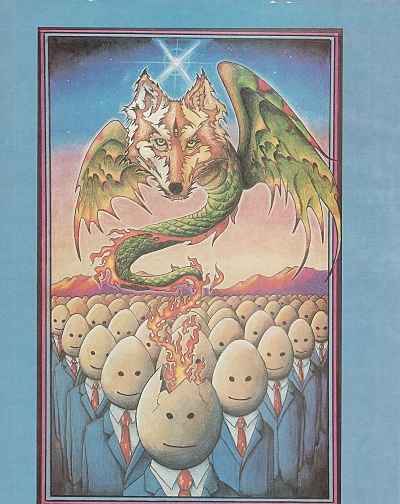 The cover illustration mentioned at the bottom left corner in the letter was created by Stephen Smith, who also created the illustrations throughout the “Secrets of Life” book. 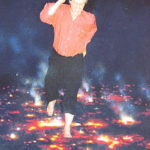 The image is of a griffon like creature emerges as a thought form from an individual who is breaking out of Tick-Tock. Closer observation depicts the dollar sign on our hero’s necktie. Stuart use to say, we can’t avoid contact with the Tick-Tock world, however, we do not need to be a part of the dogma. The secret to life is living the unordinary life in an unordinary way. These concepts are dwelled upon in his book, Whispering Winds of Change, which was the last book White Dove published. 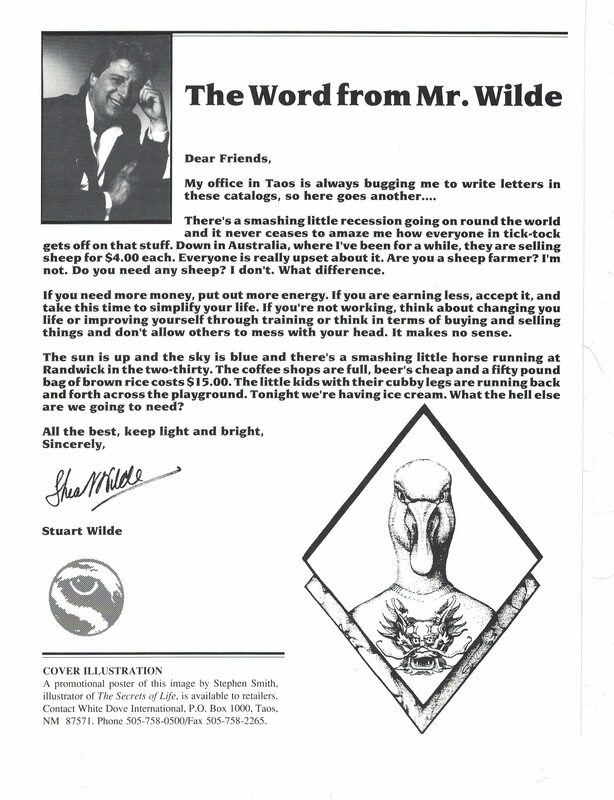 Share the post "Letter from Stuart Wilde"